A black and white image of two unidentified men and a woman. It appears to be a wedding portrait. 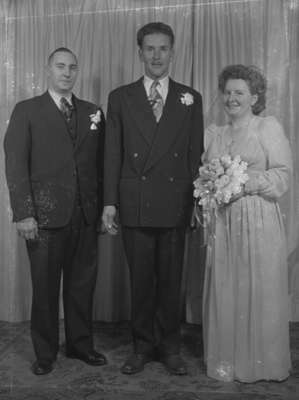 Two Unidentified Men and a Woman (Image 3 of 4), Marjorie Ruddy. Whitby Archives A2013_040_1162.